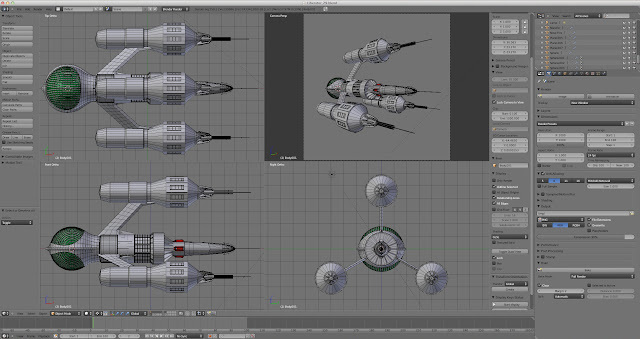 "The Liberator was an abandoned spacecraft found drifting near Cygnus Alpha, it was equipped with powerful weapons, force field protection, and a system of "battle computers". 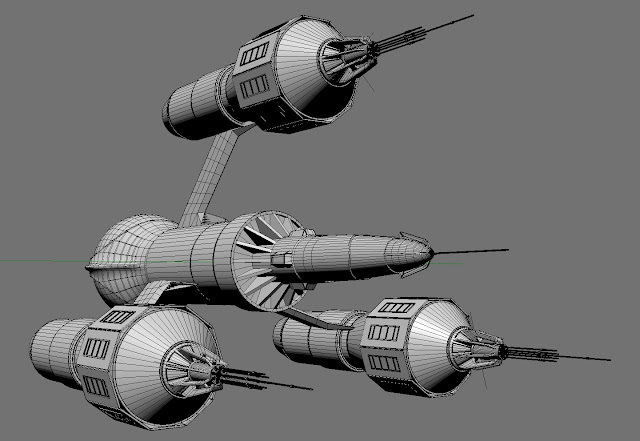 The ship was originally built by a race of beings known as "The System". 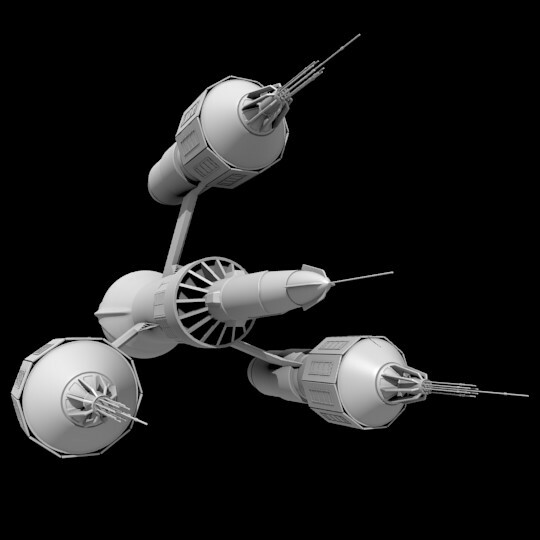 The System referred to the ship as DSV2 ("Deep Space Vehicle 2"), a designation that suggests it was specifically designed for long-range forays outside the territory controlled by The System, and confirming more than one such ship had ever been made. It had at least one sister ship, which was destroyed by Orac in the episode "Redemption". 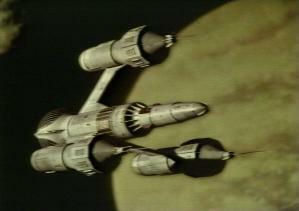 It was never clarified if the sister ship that Roj Blake encountered was DSV1.The ship was controlled by an advanced AI computer calling itself Zen, although it is not clear whether this was the computer's official name under The System, or whether Zen later chose this name for itself. During the episode "Redemption" the System's controllers, (referred to as "Altas"), had boarded the ship and also referred to the computer as Zen.DSV2 first appeared in the series after it was involved in a space battle, (of which no further details were ever given), and apparently abandoned by its crew as a result of severe battle damage. It was demonstrated later in the series that temporary abandonment of the ship may be necessary until the auto-repair systems can restore life support after serious damage. DSV2 was encountered by the Federation prison ship London. The captain of the London decided to try to salvage the ship, but the first few crew members sent in were killed or disabled by DSV2's automated defence systems. At the suggestion of his second-in-command, the London's captain then ordered the prisoners Roj Blake, Kerr Avon, and Jenna Stannis to enter the ship. These three succeeded in taking control of the ship and making good their escape. The name Liberator was then applied to the ship by Zen based on a telepathic suggestion by Jenna. Blake proceeded to use Liberator's superior technical abilities in his bid to attack and defeat the Federation until he disappeared during the battle of Star One. Avon then took over command of theLiberator and continued to harass the Federation until Liberator was destroyed after passing through a cloud of corrosive micro-organisms in the third season final episode "Terminal"."